The name Nova Vida reflects our goal for every patient to help them begin a new life. Our programme design incorporates the best of traditional and progressive treatment programmes offered around the globe. It is constantly up-dated reflecting new research as well as our own experiences. Our goal is to offer you and your family high quality compassionate and effective care at an affordable price. If we feel we cannot help you we will help you identify a place that can from our extensive experience of many other facilities around the world. Established in February 2007 we offer treatment for chemical and behavioural addictions, as well as related and underlying issues and illnesses. 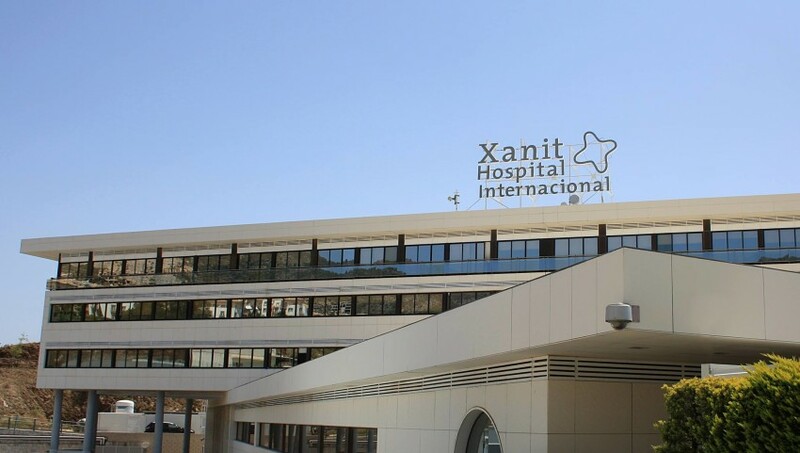 The beautiful setting of the Algarve creates an atmosphere of peace and tranquillity, which contributes to the healing environment and provides patients with a unique opportunity to start the process of recovery. For decades individuals in Europe travelled the world in search of successful and affordable treatment. The long journey away from home separated travellers from essential familial and social support systems but this separation from loved ones is not conducive to recovery. Now it is possible to enter treatment close to home and we encourage family members to visit regularly and participate in our family programme. Travel to the Algarve is less than three hours away from most airports in Western Europe and is less than one third of the time it takes to reach treatment centres in the USA , South Africa and Thailand. We will welcome you at the airport with the traditional gracious warmth of southern Portugal. A staff member will greet you to help make your transition to our Centre stress-free. It is easy to become lost in the bigger treatment centres and consequently, more likely to avoid the psychological depth of work necessary for a successful outcome. Nova Vida, with a total of seven beds, promises to offer individualised attention and care within a small group setting. Nova Vida is a privately owned treatment centre for addictions and related illnesses. We only work with referrers where we are confident that adequate support is available after treatment. The primary language spoken at Nova Vida is English. Andrew, one of the Co-Founders of Nova Vida Recovery Centre, has been involved in the addictions field for the past 18 years, training at Clouds House and Broadreach House before joining Priory Healthcare in 1998. Andrew started his career with the Priory as an Addictions Counsellor before becoming Programme Manager and then Hospital Director at the Priory Hospital Sturt and at Farm Place. Up until December 2005, he was Director of the addictions unit at the Priory Hospital Roehampton, bringing with the position an agenda for change and innovation to the programme. He was also a member of Priory Healthcare’s multidisciplinary specialist network group for addictions. He has written a number of articles and has been actively involved in media work promoting the treatment of addictions. Andrew has trained in Structured Interventions which forms part of Nova Vida’s work . He also brings many years of working in a mental health setting and has a wealth of experience helping those with emotional disorders such as depression, stress and anxiety. Often these disorders co-exist with addiction and need to be treated alongside the addiction. His main interests are programme development, training and greater co-operation between professionals – to this aim, he has travelled extensively studying programme delivery in various settings. He is an enthusiastic supporter of UKESAD, Europe first addictions symposium aimed at the professional development of those delivering treatment, and was part of the organising Committee since its inception in 2004. He is now involved with his colleagues at Nova Vida and in the USA to bring quality training and professional development in the field of addictions treatment to Europe. “Continuous Professional Development is an essential aspect of the therapist work without which we cannot remain at the forefront of treatment delivery”. Andrew combines his experience and expertise in addiction treatment with his experience in management to a multipurpose role as Chief Executive and member of the Clinical Team. “The decision making process at Nova Vida is a team affair and very little of my time is spent on traditional CEO tasks. I therefore have a lot of time to dedicate to the clinical programme and the patients that come here. Nova Vida Recovery Centre has become a vocation and is unlike any other career. Every day is different and every patient an individual. I can’t think of anywhere else I would prefer to spend my working day”.